The melting tablets are part of the total treatment and included with the S-Quality. Melting tablets cannot be ordered separately. All of our breast enhancement products are delivered together with these melting tablets. Keep the melting tablets under your tong until there are just a few fibers left. Swallowing these delicate flavones makes them useless as they are not resistant to stomach acids. 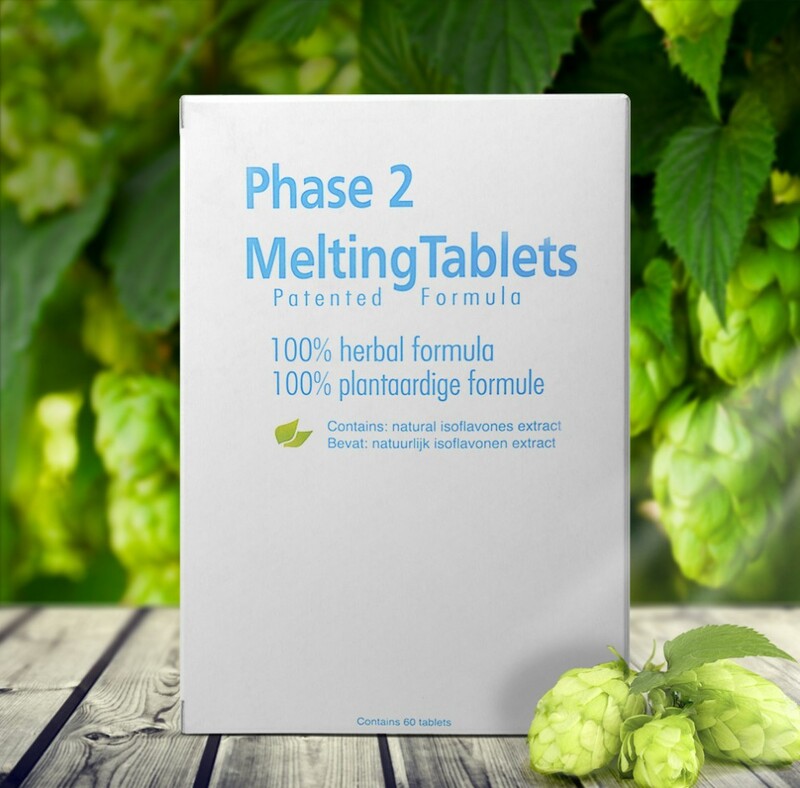 Are you in or past menopause then 1 meltingtablet per 2 days is sufficient to protect you from estrogen dominance effects such as endometrial thickening in combination with a maximum of 3 hop tablets per day. Our tablets are safe to use for women in their menopause or past menopause, however with a maximum of 3 hop tablets per day in combination with 1 melting tablet per day. Read the product information included with the package for more information. Each package of S-Quality includes 160 tablets for 32 days. 5 tablets per day. Each package of S-Quality comes with one package of melting tablets to supplement the total treatment.